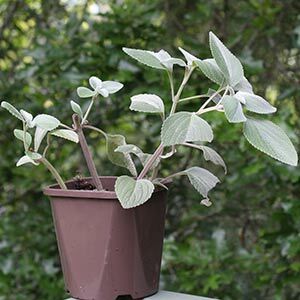 One of the truly great native plants is Plectranthus argentatus, a wonderful foliage plant with attractive silvery leaves. Growing in open areas of rain forests from Queensland to New South Wales this is an evergreen plant that is easy care and rewarding in the garden. 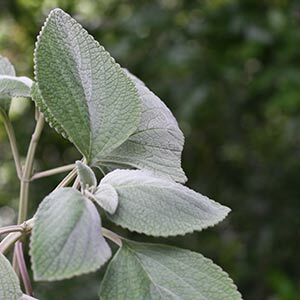 Although Plectranthus argentatus does flower, the small lilac flowers are a bit of sideline, the main attraction is the large velvety silvery green foliage. Flowers appear from summer through to autumn. Although Plectranthus argentatus can reach 1m in height, it usually reaches around half this. This is a frost sensitive plant and will die back in winter in very cold conditions. However in Sydney as far south as Melbourne, it usually does not suffer to much in a protected position. Grown beneath an evergreen tree, near the drip line of even a deciduous tree this is a plants that thrives. Good filtered light to morning sun. Some extra water during hot long dry periods in summer. Plectranthus argentatus performs well with regular tip pruning. Simply pinch out the new growing tips to encourage a healthy bush growth habit. Plants can be hard pruned in early spring to regenerate older plants. This is a plant that forms a clump and will sucker a little. It is possible to take cuttings with some roots attached, and these will stick easily in a normal potting mix. Cuttings seem to work well up to 15cm in length. Trim back lower foliage and remove a little from the larger leaves. Place the stems in a normal potting mix. Water with a liquid seaweed fertiliser. Keep cuttings in light shade, not direct sun. Mist twice a day to maintain humidity. Plants should be ready to pot up or plant out in 8 weeks.